"This is (probably) why you're Fat"
If you just consume fewer calories you'll lose weight. Unfortunately not always. Most of us think that we only put fat in our fat cells when we eat too much. Your fat cells are like rechargeable fuel cells, every time you eat, you store some fat. In between meals, fat comes out of your fat cells to provide the fuels for your muscles and organs. If you're naturally thin, it's because you have efficient fat cells. Fat goes in quickly and comes out easily. Your body doesn't need much fat because the small bit of fat you do have is a reliable source of fuel. 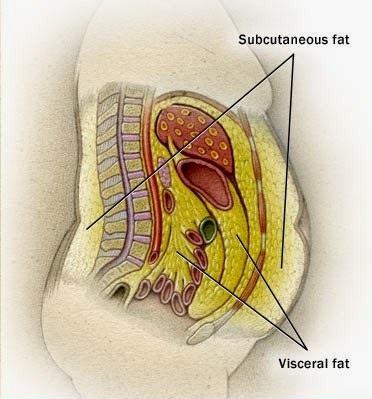 If you're predisposed to be fat, it's because you have 'greedy fat cells'. You're eating more because you're getting fat! 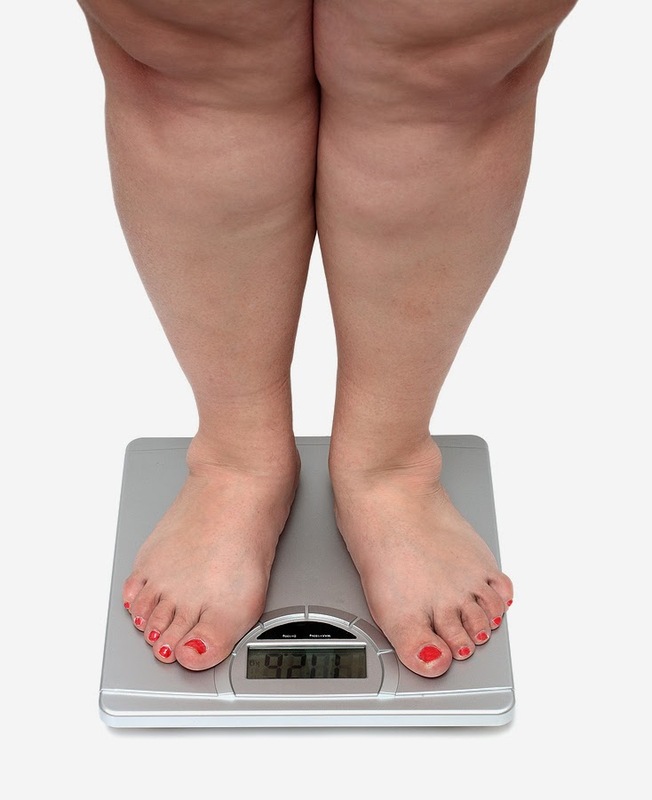 If your fat cells are slow to release fuel, your body actually works to make them bigger. And they keep on getting bigger until they can release the energy that your body needs. This could mean gaining a little weight or it could mean gaining a lot! 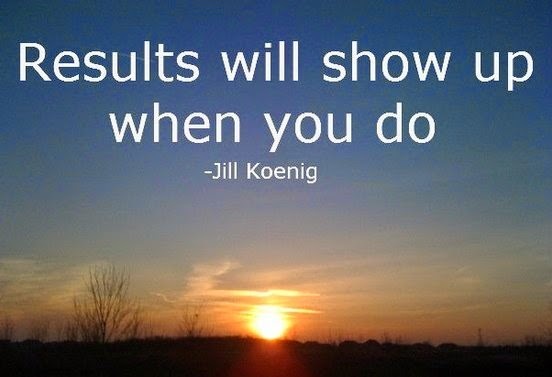 It all depends on how slowly your fat-cells release their fat. Most of us aren't born with 'greedy fat-cells', but we can certainly make them that way. When you eat too many carbohydrates, you raise your blood sugar. Since high blood sugar is toxic, your body releases insulin to bring it down. But your body can only burn a little bit of sugar at a time. So what happens to the rest of it? Your storage sites for carbohydrates are limited and you've got unlimited storage places for fat. So the body just ends up converting the carbs in to fat. And after bringing down your blood sugar, your insulin does its other job, it tells your body to store fat. Insulin stimulates an enzyme called lipoprotein-lipase which sends fat into the fat cells. So if insulin is elevated, this lipoprotein-lipase production is really activated and it sends fat 'like crazy' into the fat cells. So if you eat a lot of carbohydrates, your insulin goes up and you begin storing fat in the fat cells. disease, type 2 diabetes and high blood pressure. When you have a healthy metabolism, it only takes a little bit of insulin to bring your blood sugar down and then everything goes back to normal. But over time, that can change. Cells can become resistant to the effects of insulin, so when that happens, insulin is talking with the cells, but they're not listening! They don't do what they're supposed to do. And so your body does what it has to do, it starts producing more insulin. So you've reached a point where your insulin is high just to keep your sugar levels normal, even if your not eating any sugar. When that happens, your insulin is driving fat into the fat cells and you've reached this point where all of a sudden - Bam! You get fat. And you get fat even though you're eating the same number of calories you always did. Because now you have greedy fat-cells. So you do what the ''experts'' tell you to do, you go on a low fat, low calorie diet so you can burn your own body fat for fuel. But there's just one little problem with this: if too many carbs are keeping your insulin high, the insulin is telling your body to store the fat instead of burning it. Now you're really starving inside! So once again your body does what it has to do: it slows down your metabolism. You stop losing weight and you get tired. And people can end up being, in most cases, larger than they were when they started out - but now with a lower metabolic rate. And this can be extremely frustrating for many people. For every pound of fat you put on, you gain 7 new miles of blood vessels! So some people get fat and stay fat because they're living on foods that tell their body to store the calories in their fat cells - which just makes you hungrier. In some people the fat-cells and the other tissues become insulin resistant at about the same rate. The good news for them is that they don't gain weight, the bad news is that insulin resistance can kill you even if you're skinny. The demanding of your pancreas that it produce ever greater amounts of insulin to keep your blood sugar normal, is ultimately going to cause 'beta-cell burnout'. So the pancreas is producing all it can produce and that's not enough anymore. When that happens, the beta-cells get damaged, they can't produce anymore and your blood sugar goes up and now you're becoming diabetic. And further, when your blood sugar goes out of control, it can damage your arteries and lead to heart disease. It's not easy struggling with something that keeps you alive. But you can blame away, you are in charge of yourself. There's no one giant step that does it, it's a lot of little steps. And that doesn't just relate to putting the weight on, but also for getting rid of it. Human nature is very addictive and human nature is very flawed. It is extraordinary that it takes such a long time for the penny to drop with some people. But it shouldn't be a surprise as the seeds of it are really deep. All the problems of being overweight are remedial. But the younger you put it on the bigger you can go. And the further you let yourself go, the longer of a battle it is to get back (O'Shea, 2012). Antipsychotic medication (or neuroleptics) are an effective treatment for people with schizophrenia. In 1952, Henri Laborit, a surgeon in Paris, was looking for a way to reduce surgical shock in his patients. Much of the shock came from the anaesthesia, and if he could find a way to use less, his patients could recover quicker. He knew that shock was a result of certain brain chemicals so he looked for a chemical to counteract these. His administration of a drug called Chlorpromazine had a marked effect on his patients. Previously restrained and often violent patients could now make contact with others and be left without supervision. It seemed to have a calming effect without sedating his patients. It was then trialled for a number of psychiatric disorders. Some being successful, however there were side effects and drawbacks to the drug which were revealed in the passing years. Following the introduction of first-generation (typical) antipsychotics (FGAs) in the early 1950s, there was a radical change in the therapeutic regimens for schizophrenia. But, as noted, it soon became apparent that these antipsychotics produced serious side effects including extrapyramidal symptoms (EPS) - a distressing and debilitating movement disorder. The extrapyramidal system itself is a neural network that is part of the motor system. - Neuroleptic Malignant Syndrome (NMS), a rare, but life-threatening idiosyncratic reaction to the medication. The syndrome is characterised by muscle rigidity, fever and a sudden raised body temperature which can be fatal. Incidence rates range from 0.02 to 3%. - Drowsiness, dry mouth, weight gain, constipation, depression. To prevent EPS, second-generation (a-typical) antipsychotics were developed. These newer medications differed from FGAs primarily on the basis of their reduced risk of inducing EPS (Yamamoto & Inada, 2012). Neuroleptics work via the blockade of dopamine receptors. Dopamine is one of several transmitters that act on the central nervous system, and numerous dopamine receptors have been found in the extrapyramidal system. 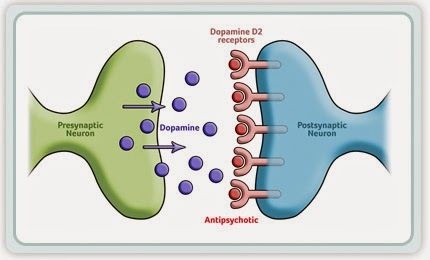 Dopamine D2 receptors are those most strongly associated with the efficacy of antipsychotics. Second-generation antipsychotics are effective against psychosis and, at therapeutic doses, seldom cause EPS. Their therapeutic effects are attributable to central antagonism of both serotonin and dopamine receptors, and also possibly to relatively loose binding to D2 receptors (Lehan, 2004). Controversy still lingers over the efficacy of first and second generation antipsychotics. 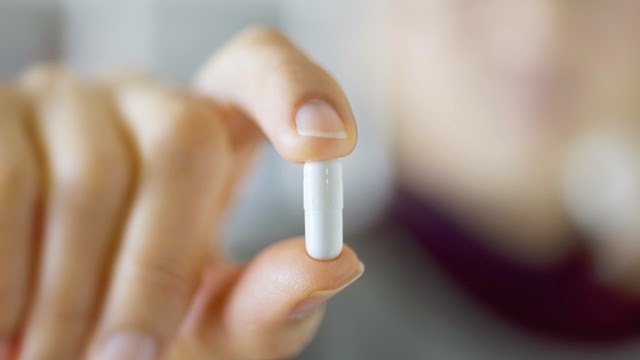 Second generation antipsychotics were seen as an advance in drug treatment 20 years ago when they were developed, as they had additional benefits and fewer adverse effects. However, the invention of second-generation drugs have been regarded by some as invention only, a clever manipulation by the drug industry for marketing purposes, and there is often selective publication of trials that can skew the evidence in favour of a drug preferred by the investigators. Leucht and colleagues (2008) compiled a meta-analysis titled, 'Second-generation versus first-generation antipsychotic drugs for schizophrenia'. There were 150 trials examined. In 95 of them, the second-generation antipsychotic was compared with the high-potency first-generation antipsychotic Haloperidol. The use of Haloperidol showed a bias in favour of the second-generation drugs. Because this first-generation drug is likely to be associated with a high rate of EPS. They also avoided comparison with a medium-potency FGA, because these drugs are just as efficacious as the second-generation drug. Antipsychotic drugs differ in their potencies and have a wide range of adverse effects, with nothing that clearly distinguishes the two groups. The only second-generation antipsychotic that is better than other drugs in resisting schizophrenia is clozapine. Nevertheless, it is argued that second-generation drugs have no special a-typical characteristics, that they are no more effective, do not improve specific symptoms, are less cost effective, and have no clearly different side effects than first-generation drugs (The Lancet, 2009). Unlike the disruptions of mental tranquillity that disturb everyone from time to time, schizophrenic episodes represent a severe departure from normal mental functioning. The disorder has a distinctly biological character, suggesting that its fierce psychotic episodes reflect physiological alterations in normal brain function. Schizophrenia is the diagnostic term for a family of severe mental disorders that involve psychotic features - a loss of contact with reality - and a widespread deterioration of the level of mental functioning affecting multiple psychological processes (Kandel, 1991). The disorder always involves delusions, hallucinations, or characteristic disturbances in the form of thought. By definition, schizophrenic disorders are relatively long lasting: brief, isolated psychotic episodes are not classified as schizophrenic. Schizophrenia, strictly defined, has an incidence of approximately 1 in 200. Rates of schizophrenia are generally similar from country to country - about 1 percent of the population. There are variations - but the variance is difficult to track due to differing measuring standards in many countries, etc. It is equally common in men and women. Delusions are a major abnormality in the content of thought. Schizophrenic delusions - false beliefs about external reality - are often persecutory, as in the belief that a television newscaster is making fun of the viewing individual. Other typical delusions are more bizarre: The individual may believe that his or her thoughts are being broadcast so that everyone nearby can hear them, or that other people are inserting thoughts and their behaviour is controlled by others, perhaps by radio waves. Such delusional beliefs represent a marked failure in assessing reality. Characteristic abnormalities in the form of thought also frequently occur. Most common is a loosening of associations , in which ideas shift from one topic to another in an apparently unrelated manner. When this is severe, speech becomes incoherent. Hallucinations - perception without external stimulation of the sensory systems - are also characteristic of schizophrenia. 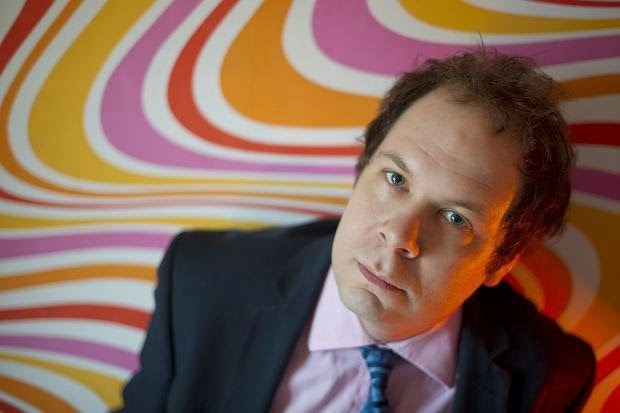 Most hallucinations are auditory, involving voices that may make insulting statements or provide a continuing critical commentary on the individual's behaviour. Tactile and somatic hallucinations, such as the perception of snakes crawling inside the abdomen, also occur. However, visual hallucinations are less common. The emotions of the schizophrenic patient are usually flattened or inappropriate. ''Flattened'' means a loss of emotional intensity: the patient speaks in a monotone, the face is expressionless, and the patient reports that normal feelings are no longer experienced. At other times, emotion may be present but is inappropriate to the circumstance. The combination of symptoms leads to a gross distortion of the person's interactions with the real world. There is a deterioration in functioning, resulting in part from a preoccupation with internal thoughts and fantasies. In many cases, the acute active phase of florid schizophrenic symptoms persists for a prolonged period. It may be followed by a relative remission of symptoms, but a complete return to normal function is extremely unusual. In fact, such a recovery calls into question the original diagnosis of schizophrenia. 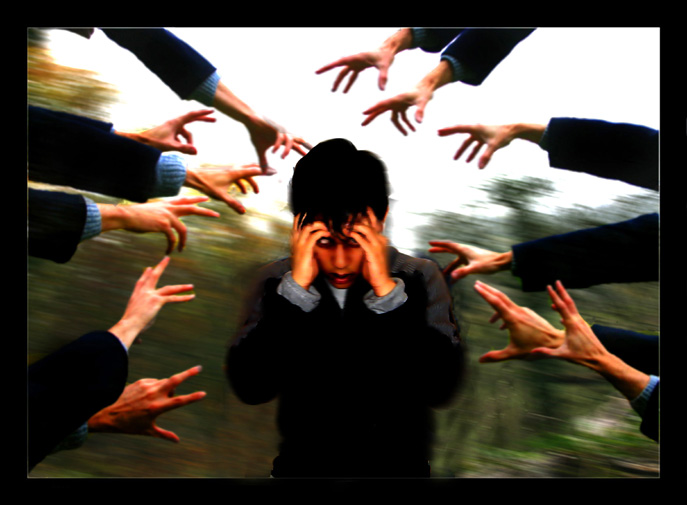 Despite the bizarre and florid nature of the schizophrenic symptoms, there is still considerable controversy as to the nature of the disorder. Many investigators believe that schizophrenia is not a single disease but forms a group of related psychotic disorders. In schizophrenia, there seems to be an inheritable predisposition or susceptibility to the disorder. In the general population, the risk of schizophrenia is less than 1 percent. However, this risk is much greater for relatives of schizophrenics. The parents of a schizophrenic child have about a 5 percent risk of schizophrenia, the siblings of a schizophrenic have about a 10 percent risk, and the children of a schizophrenic parent have about a 14 percent chance of developing the disorder. If both parents are schizophrenic, the child has a risk factor of about 50 percent. This hypothetical test, named after the English mathematician Alan Mathison Turing (1912 - 1954), is to clarify the question as to whether computers can think. Turing introduced it in an article in the journal Mind in 1950, where he called it the imitation game. 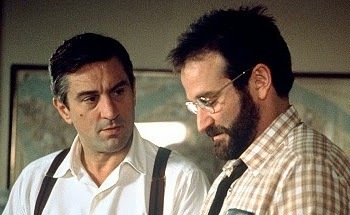 ﻿﻿A person A and an interrogator in a different room engage in a dialogue by typing messages over an electronic link. At some point A is replaced by intelligent software that simulates human responses. Turing argued that if the remaining human being is free to ask probing questions (such as ''Please write me a sonnet on the subject of the Forth Bridge'') but is unable to determine reliably whether the replies are generated by a human being or a computer, then the computer will have passed the test. Turing considered the question Can machines think? to be 'too meaningless to deserve discussion' and argued that his test, which replaces it, poses a more meaningful problem. But passing the Turing test came to be interpreted by many of his followers as amounting to being able to think. Some of the most sustained attacks on this approach have focused on the Chinese room argument. Lysergic acid diethylamide (LSD) first acts on the brain's serotonin system; the part of the brain responsible for feelings of well-being, and subsequently on the prefrontal cortex; which processes some of our uniquely human abstract thoughts. It also seems to reduce communication between different brain areas, leading to loss of inhibitions. ﻿﻿Dr. Ben Sessa (pictured), consultant Psychiatrist at Bristol University, wants to pick up where Sandison left off. 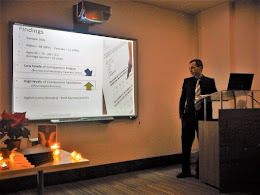 Dr Sessa argues that ''the role of LSD can speed up the process of breaking down the client's defences''. Today, despite a growing belief of it's benefits among some parts of the medical community, the laws have made further use in psychotherapy almost impossible. Many experts today believe the dangers of LSD are more fiction than fact. It's physiologically non-toxic and no one has ever died from an overdose. True, one or two people in the 60's may have jumped out of windows, but that seems to have become a myth ingrained in history. Tags: Brain, Drug Use, Drugs, Frontal Lobes, Hallucinogenic, LSD, Memory, Prefrontal Cortex, Psychiatry, Psychoanalysis, Psychology, Psychotherapy, Sandison, Serotonin, Sessa, Therapeutic, Therapy, Thinking, Thoughts, U.K.